There are times for flakey, cake-like muffins and there are times for denser, heartier ones. When I came up with the recipe for these bad boys I was definitely searching for the latter. I wanted something small that would still fill me up and tide me during that midday hump and these muffins were just the ticket. They are perfect as pre-workout fuel, a mid-day pick me up or even a late-night snack. Did I mention they are also gluten-free, (optionally) sugar-free and only took me 30 minutes to make beginning to end. Mix first 6 ingredients until creamy. Stir together buckwheat flour, baking powder and salt. Slowly add dry ingredients to wet mixture stirring to combine. Stir in seeds, whole groats and flax. Bake at 350 degrees 18 – 20 minutes in a lined muffin pan. These look great! Where do you buy the buckwheat groats in Toronto? Bulk bins! Either at whole foods, Qi on roncessvalles or a bulk store at bloor and ossington I can’t quite remember the name of but is excellent and cheap! That’s just off the top of my head I’m sure other stores carry it as well. These look fantastic! I am all over sunflower butter these days!! 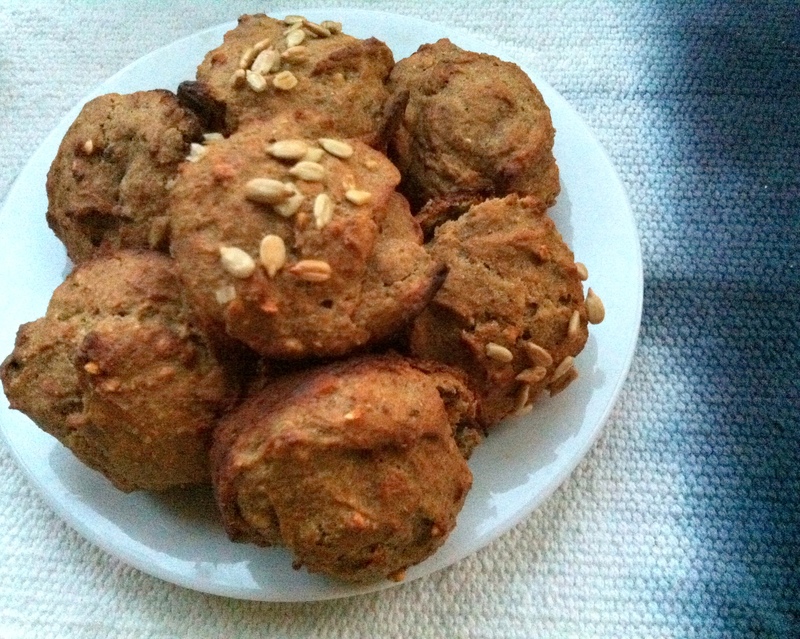 I had some very special granola and a coconut flour muffin for you the other night – so sad the picnic didn’t work out!